The following content and images were provided by filmmakers Aaron Murphy and Rae Machado of Skillly Media while on their quest to film Planet Community! 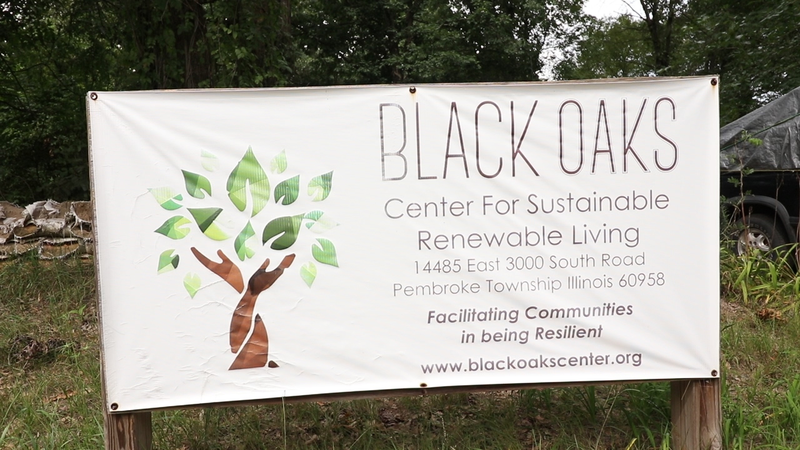 We left our home at Dancing Rabbit Ecovillage in Rutledge, Missouri and arrived at Black Oaks Center for Sustainable Renewable Living Community in Pembroke, Illinois at dark due to an overheated vehicle and a flat tire on the trailer. 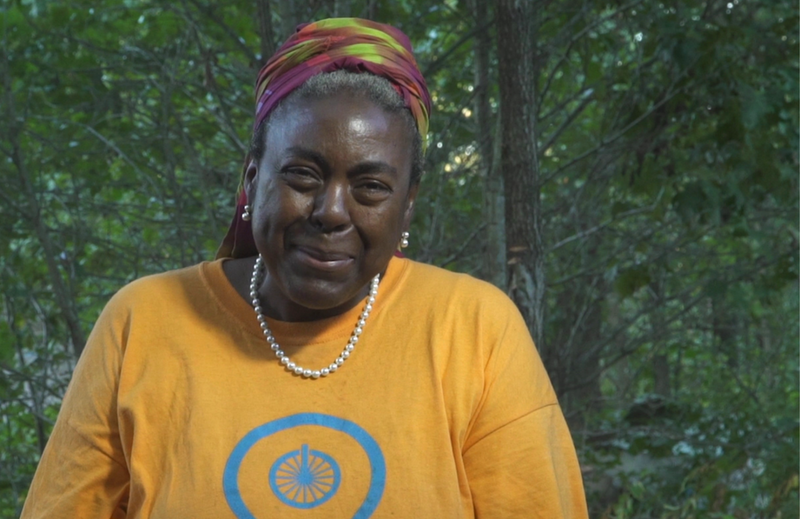 We spent the first two days on tour filming the wonderful community of Black Oaks where residents Jifunza and Fred shared with us wonderful stories, gifts, space, and homegrown watermelon with us. Photo below: Jifunza Wright Carter being interviewed at Black Oaks Community. It was wonderful to meet a family who cares so deeply about community resilience and actively endorses food justice in the Chicago area directly with their CSA and spiritually with their education, advocacy and activism. 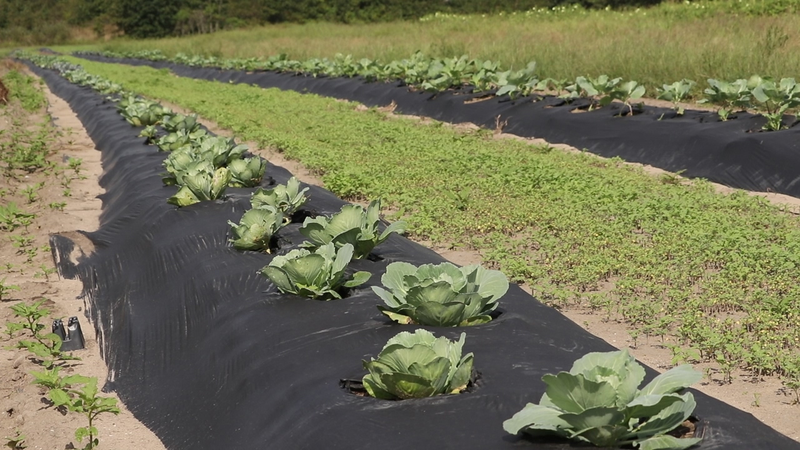 Photo below: The cabbage patch at Black Oaks. After successfully acquiring footage with our drone, we finally left and departed towards Ann Arbor, Michigan through a huge rainstorm across Illinois and Indiana. 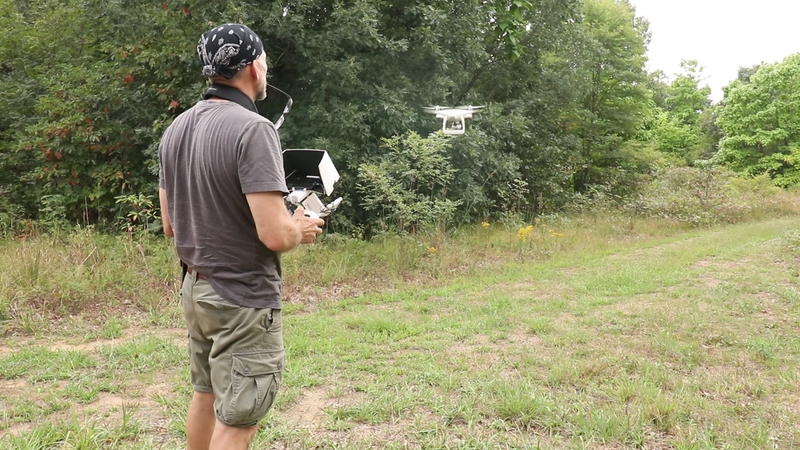 Photo below: Aaron flying the drone at Black Oaks. We arrived in Ann Arbor around 3 p.m. with fine weather and clear skies, but very high humidity. We were welcomed warmly with bottles of ice cold water. Robin and Hob gave us a tour of all three communities – Touchstone, Great Oak, and Sunward – which are all within walking distance to each other and incredibly clean and beautiful. They provided us with a schedule of what, when and where things are happening throughout the Village and who we are to interview and meet with during our time here. Photo below: Great Oak Cohousing in Ann Arbor. This morning we departed from Ann Arbor’s three neighboring cohousing communities. The last thing we did was interview Lois, an elder who is 95 years old and so happy that she is able to live in a multi-generational extended family style cohousing community, instead of living in senior housing surrounded only by seniors. 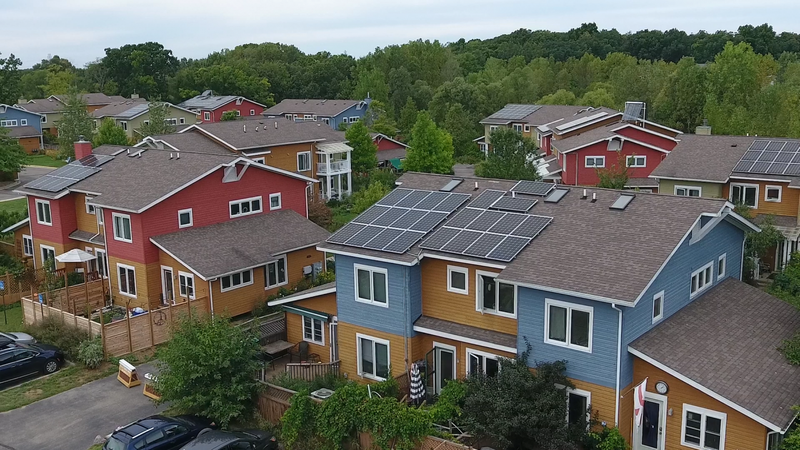 Cohousing enables Lois to spend time with children in the neighborhood; for example she has a neighbor boy take out her trash and recycling once a week, and a young girl comes over to read to Lois because she is legally blind. We heard many people discussing the benefits and frustrations of cohousing and explaining how wonderful it is to help people heal their sadness around isolation while still acknowledging that cohousing is not for everyone. Many commented that the Planet Community interview questions brought so much awareness, conversation, reflection and discussion to these communities, especially around the topics of privilege and oppression. Next we are headed to the Luther House, a student cohousing community that is part of the Inter Cooperative Council Ann Arbor (ICC). REALLY INTERESTING PROJECT. I LOOK FORWARD TO HEARING MORE.